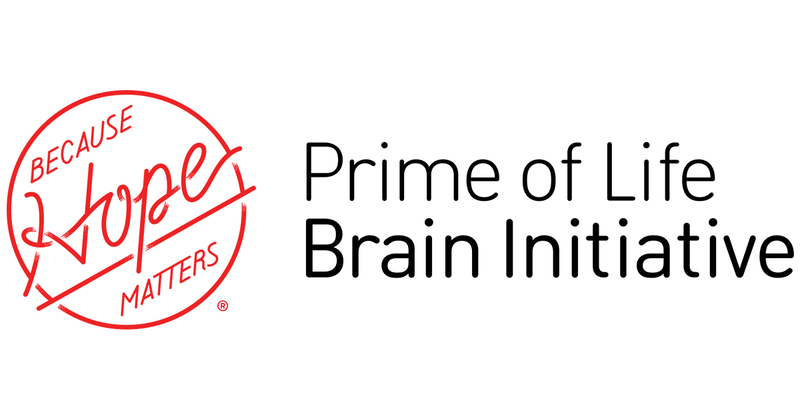 NEW YORK, April 10, 2018 – CurePSP and the Rainwater Charitable Foundation (RCF) today announced their landmark partnership in the Prime of Life Brain Initiative, an unprecedented research effort to find treatments and cures for neurodegenerative disease. Research will focus on a spectrum of brain diseases called frontotemporal disorders that are characterized by the chain reaction “misfolding” of a protein named tau that aggregates into toxic “tangles” that destroy neurons, the cells responsible for brain function. These diseases are termed “prime of life” diseases because, unlike Alzheimer’s disease, the most common form of neurodegeneration, they most often onset during middle age or earlier, when people may have family responsibilities, are in their prime earning years, and enjoy active lives. Half of all neurodegeneration under the age of 65 involves these frontotemporal disorders, according to the National Institutes of Health (NIH). RCF, through its Tau Consortium, provides approximately $13 million in research funding annually. CurePSP has funded some 180 research studies since it was founded in 1990. Joint projects will be recommended by an advisory board of eminent researchers in the field. Neurodegeneration is one of the great healthcare challenges of the 21st century. Alzheimer’s disease alone afflicts 5.7 million people in the U.S. with an annual cost of care of $277 billion, according to the Alzheimer’s Association. However, a recent study published by the American Academy of Neurology and supported by the Association for Frontotemporal Degeneration (AFTD) shows that the economic burden of a patient with a frontotemporal disorder like progressive supranuclear palsy (PSP) is $120,000 a year, double that of an Alzheimer’s patient. Because these patients often do not qualify for Medicare and have limited private insurance coverage, this cost can fall directly on the family. PSP affects about 20,000 patients in the U.S. and is a major target of research. Many scientists believe that finding a treatment for PSP or another related frontotemporal disorder would be an important steppingstone to solving forms of neurodegeneration that involve the tau protein, including Alzheimer’s disease. Pharmaceutical companies are now conducting clinical trials on PSP patients with the goal of eventually developing a drug to treat Alzheimer’s. Another disease that involves the tau protein is chronic traumatic encephalopathy (CTE), which has been associated with repetitive head trauma in contact sports like football. The Rainwater Charitable Foundation created the Tau Consortium in 2009, shortly after renowned investor and philanthropist Richard Rainwater was diagnosed with PSP. The Tau Consortium commissions world-class basic research, drug discovery, and related efforts to accelerate the development of new treatments for PSP, Alzheimer’s disease, and other neurodegenerative disorders involving the tau protein. “We are excited that CurePSP will help us to support the world’s best researchers as they hunt for a solution to these terrible diseases,” said Patrick Brannelly, program director of the Tau Consortium. CurePSP is the leading nonprofit advocacy organization focused on prime of life neurodegenerative diseases – a spectrum of fatal brain disorders that often strike during a person’s most productive and rewarding years. Currently there is no treatment or cure for these diseases, which affect more than 150,000 people in the U.S. alone. Since it was founded in 1990, CurePSP has funded more than 180 research studies and is the leading source of information and support for patients and their families, other caregivers, researchers and doctors, and allied healthcare professionals. CurePSP is based in New York City. Please visit www.curepsp.org for more information. The Tau Consortium is an innovative medical research program that is operated under the auspices of the Rainwater Charitable Foundation. The Consortium commissions world-class basic research and drug discovery to treat and prevent Alzheimer’s, progressive supranuclear palsy (PSP), and other tauopathies. The Tau Consortium acts with urgency and with patients in mind. It ensures that its members work collaboratively and engage with partners who can accelerate their progress. Since founding the Tau Consortium in 2009, the Rainwater Charitable Foundation has committed nearly $100 million to the program. There are currently eight treatments in human trials as a result of the Rainwater family’s funding. Please visit www.tauconsortium.org for more information. PSP is a brain disease in the category of “neurodegenerative” diseases along with Alzheimer’s, Parkinson’s, and ALS, also known as Lou Gehrig’s disease. In PSP, cells in some areas of the brain accumulate clumps of a protein called tau and gradually die off. Those cells control walking, balance, mobility, vision, speech, swallowing, sleep, and behavior. Each year an average of 1.1 people per 100,000 In the U.S. are newly diagnosed with PSP; five or six people per 100,000 are living with the disease. These figures are nearly identical wherever they have been carefully measured, which is in only three countries—the U.K., the U.S., and Japan. PSP’s average age of onset is 63, but rare cases have started in the early 40s. It is slightly more common in men than women, but PSP has no known geographical, occupational, or racial preference. PSP is often misdiagnosed as Parkinson’s disease because of the general slowing of movement.